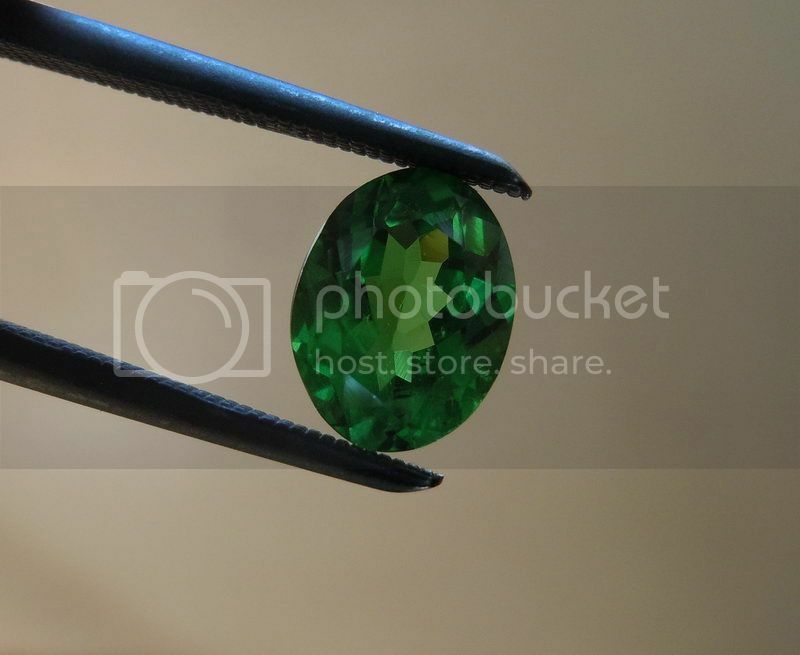 This is a beautiful Oval Shape Tsavorite Garnet. 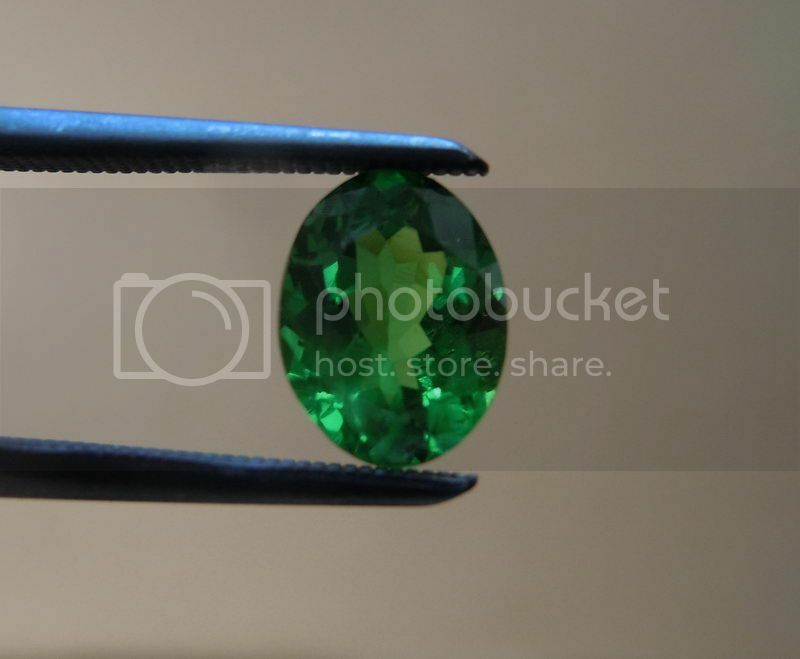 The country of origin of this stone is Kenya. 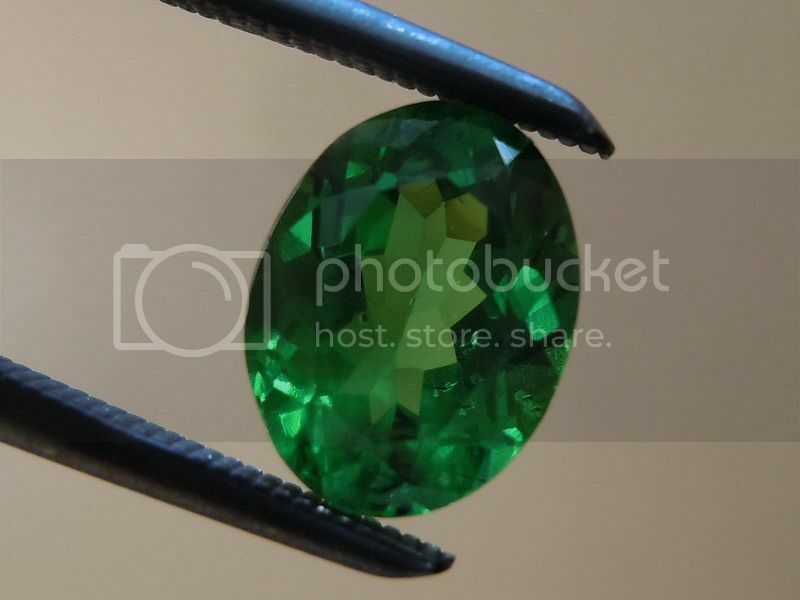 The stone has a beautiful deep shade of green - so very rich in color. 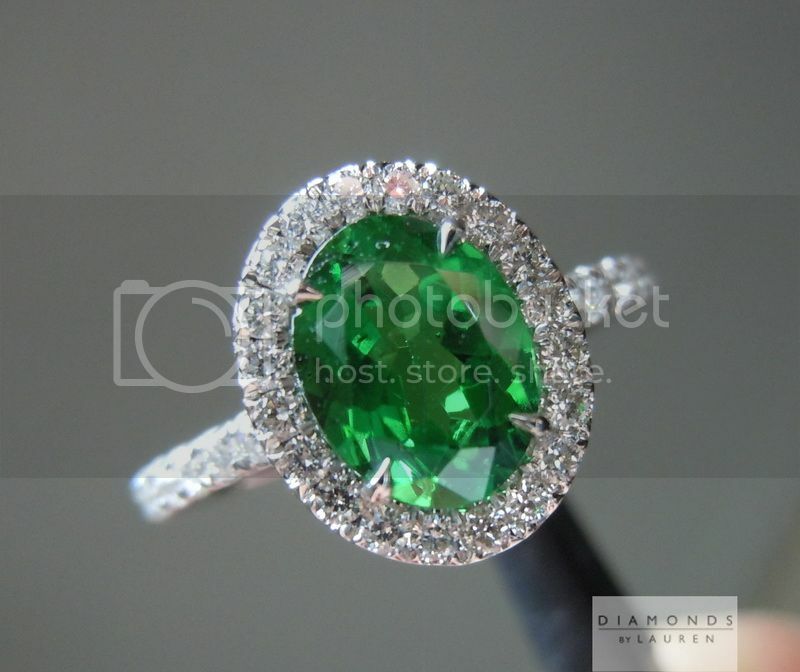 The stone is cut wonderfully and is full of life and sparkle. 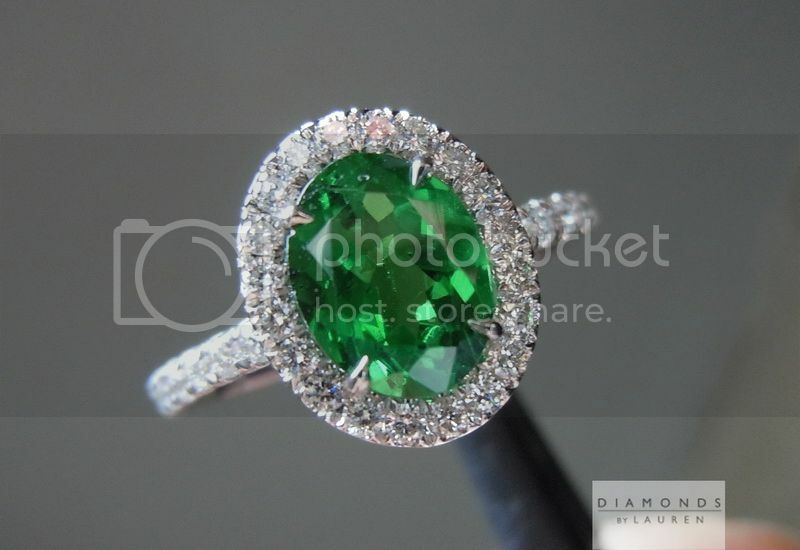 There's no question about it, the stone comes to life in this ring. 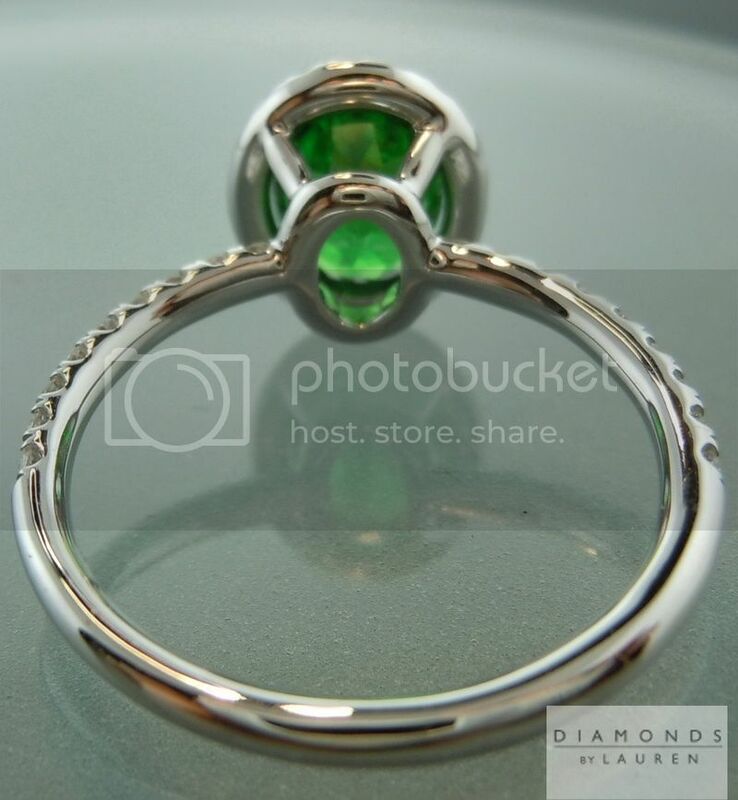 The halo is perfectly shaped so that there is virtually no gap between the halo and the lovely green tsavorite oval center. 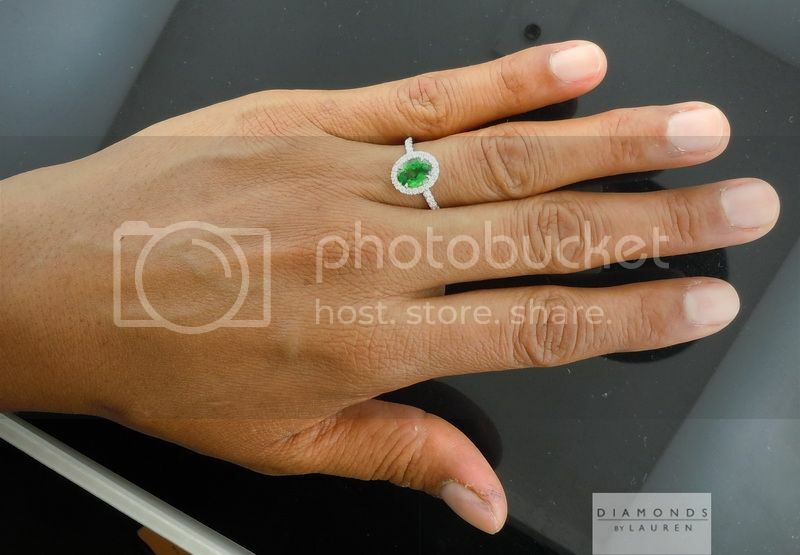 44 icy white round brilliant cut diamonds are set into this ring. 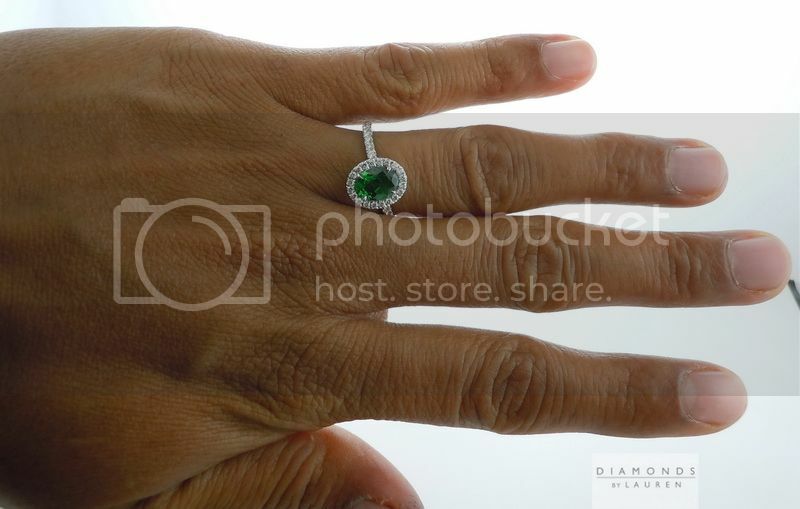 All of them have been selected for superior cut and brilliance. 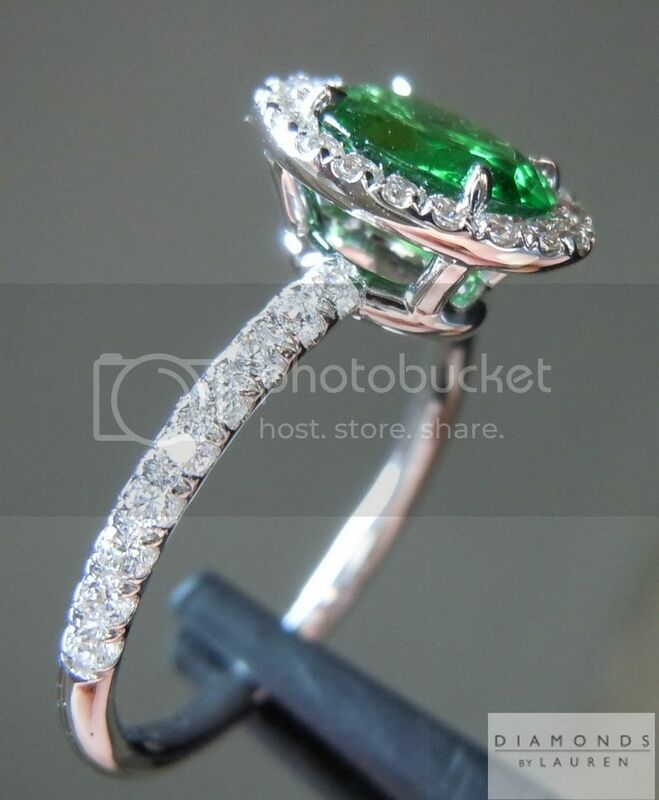 Although the shank seems delicate, it is 1.75mm, making the ring sturdy and you can wear it every day. 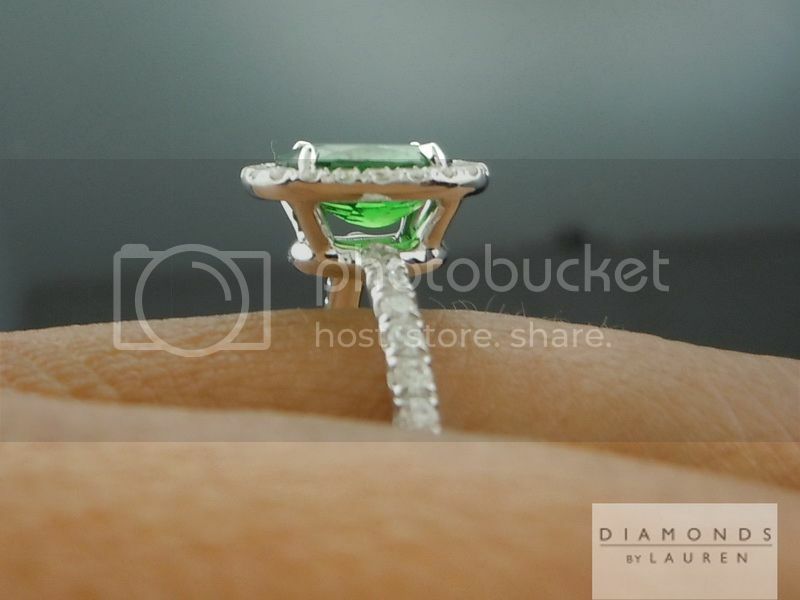 We stand behind our rings, even the micro pave models. 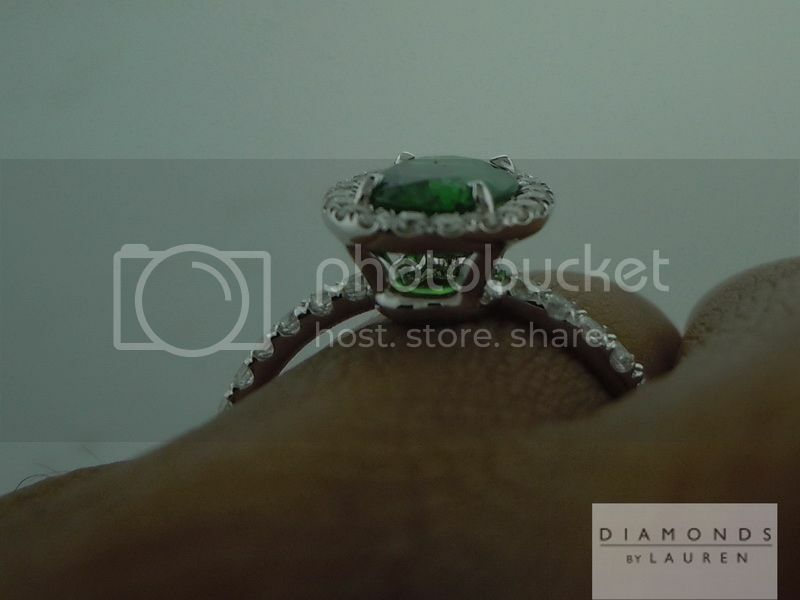 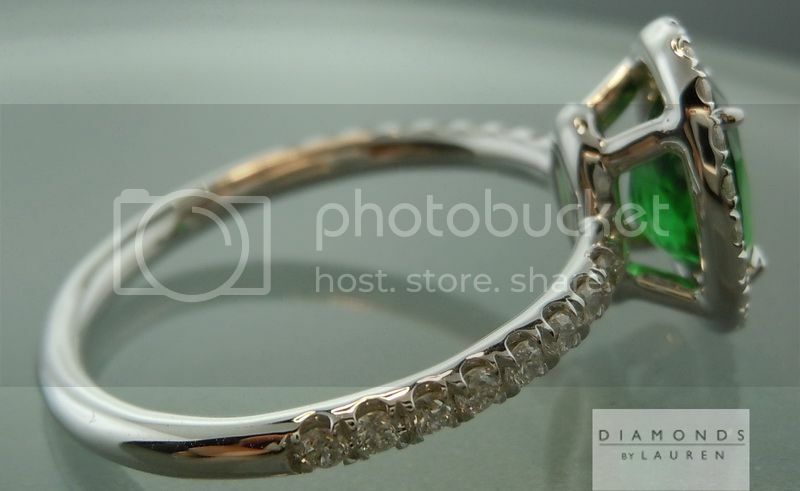 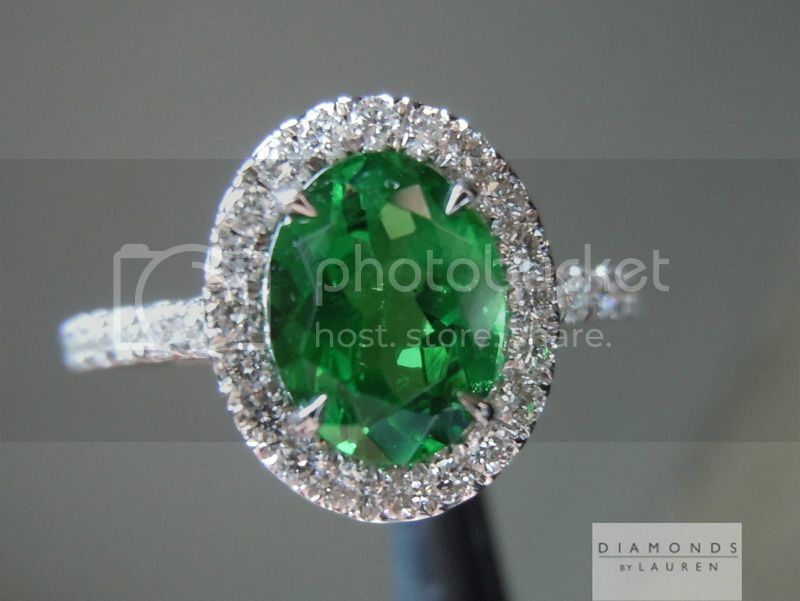 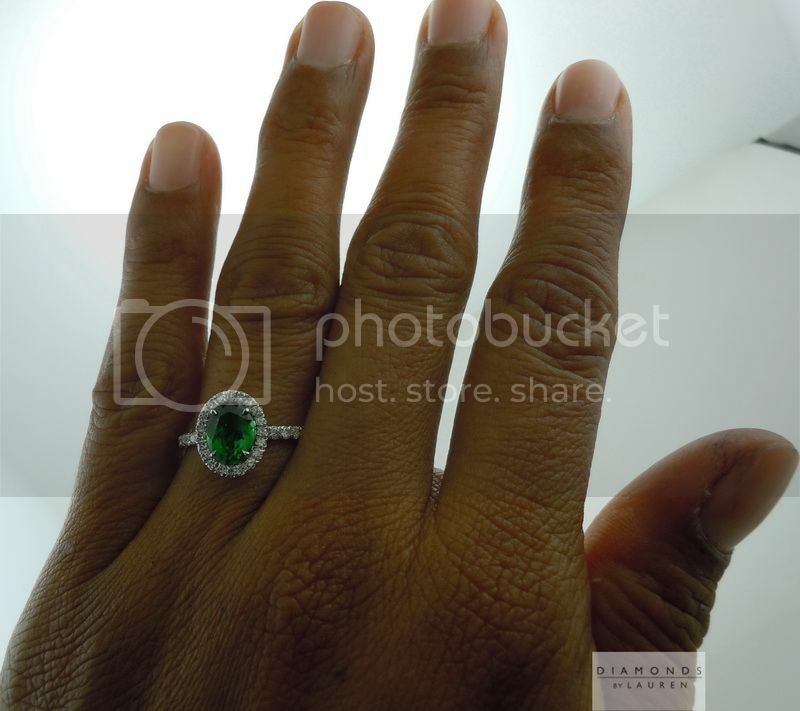 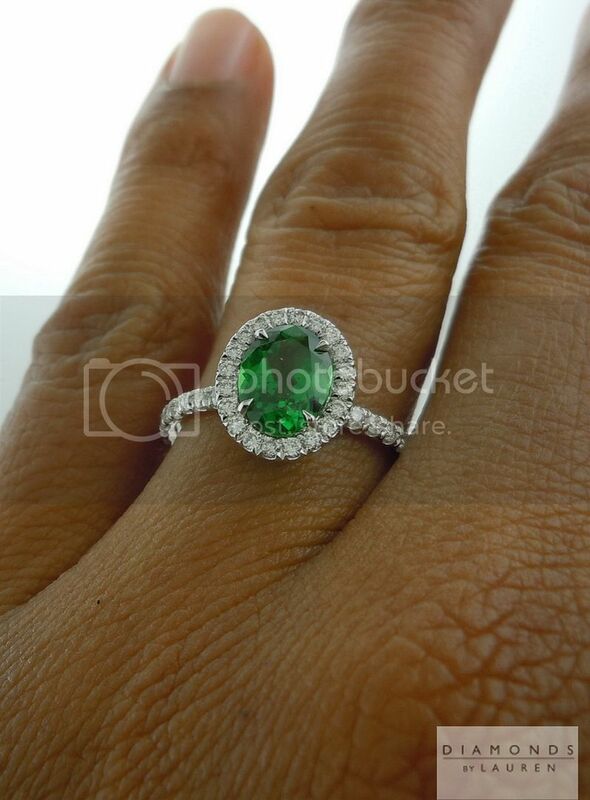 The photos above are ACTUAL Photos of the tsavorite garnet and diamond ring you will receive.